ALPINE V3 PROFILE The ALPINE V3 Profile features lower-body camber with a reverse cambered nose. This allows for maximum turning power while increasing float and landing stability. 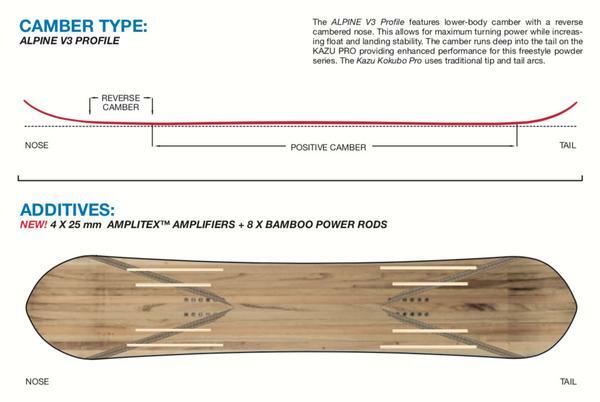 The camber runs deep into the tail on the KAZU PRO providing enhanced performance for this freestyle powder series. The Kazu Kokubo Pro uses traditional tip and tail arcs.